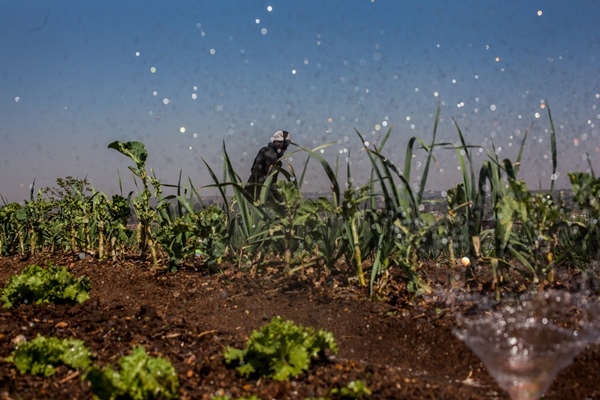 A farmer works the land of Urban Fresh South Africa is a farm located in Alexandra Township. The department of labour is becoming concerned over the high number of cross-border work permit applications received from farmers. Farmers should consider employing locals, the department of labour said on Thursday. This follows a number of cross-border permit applications the department’s public employment services received from the agricultural sector. The director of the unit, Mantombi Bobani, said the department was concerned with the number of cross-border work permit applications while the country was faced with unemployment, poverty and inequality problems. “Among others, the employer needs to provide evidence that indeed, the local market has been tested. This evidence includes proof that the opportunities that are available were advertised in a national newspaper, with farmers exempted from costs to use the services of local newspapers, and local community leaders engaged to assist in getting the required workforce,” she said. She was speaking at the multi-stakeholder engagement session aimed at seeking ideas on how local workseekers could be encouraged to see the values that the sector has and be absorbed in it. The session was held in Brits, North West. It was preceded by meetings with workseekers from Bethanie, Makolokwe, Modikwe and Berseba, where the department wanted to get their views on taking opportunities within the agricultural sector. This was to establish if there was an interest or any other challenges that were discouraging them from taking up job offers from the agricultural sector. The workseekers raised issues that included among others non-registration of employees as labour laws dictates, monitoring of working hours and safety issues in the sector. Chief director provincial operations Andile Makapela encouraged the farmers to use local labour and to take advantage of the recruitment and placement services offered for free by the department.